It’s been a few year since Jake and I went to Devine Pastabilities. Over the weekend we were down in the Sports Arena area (I need new glasses and got them at Target!) and we decided to swing by Devine Pastabilities for some lunch. We went in the early afternoon on a Saturday. It was not full so it was easy to get a table for lunch. I noticed they have expanded into the space next door and they now have a bit more indoor seating. Menu – page two! 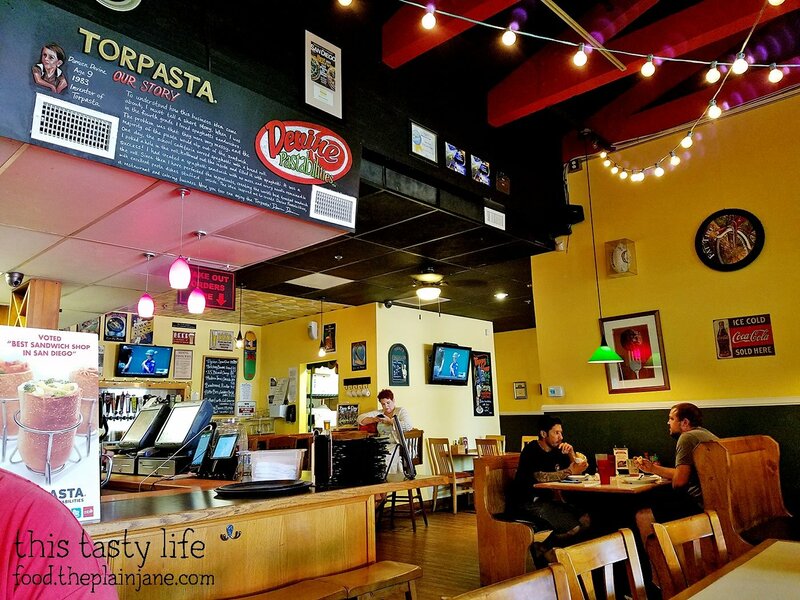 If you don’t know about Devine Pastabilities already then let me tell you about their signature dish – which is a Pasta Sandwich, or Torpasta. 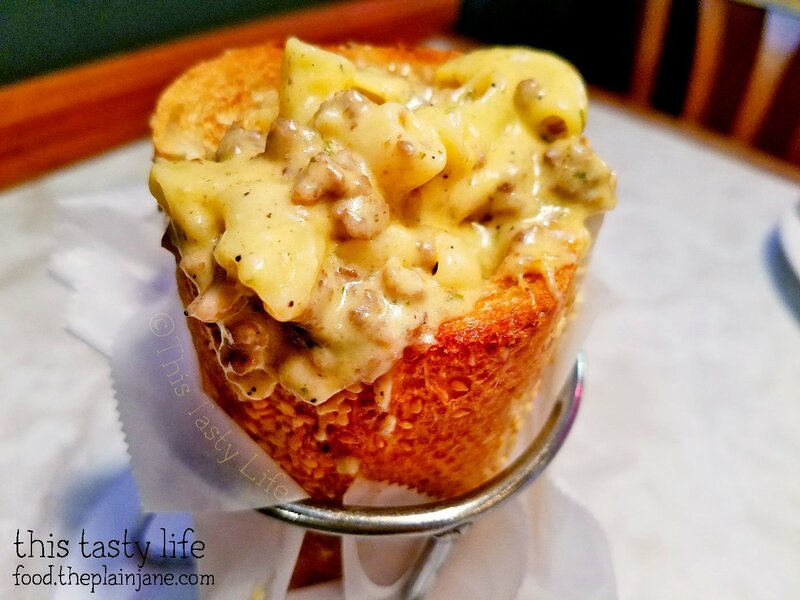 They take garlic bread, hollow it out, and then stuff the inside with delicious pasta. Carb on carb love! And page three – “normal” sandwiches and pizza! Just around the corner in the middle there is another room with more seating. The A/C is better in that room but we choose to sit in here. Jake and I started off with an order of Bread Holes [$3.49]. These are the bread innards from the rolls that they use for the Torpasta sandwiches. It’s basically the bread without the outside! 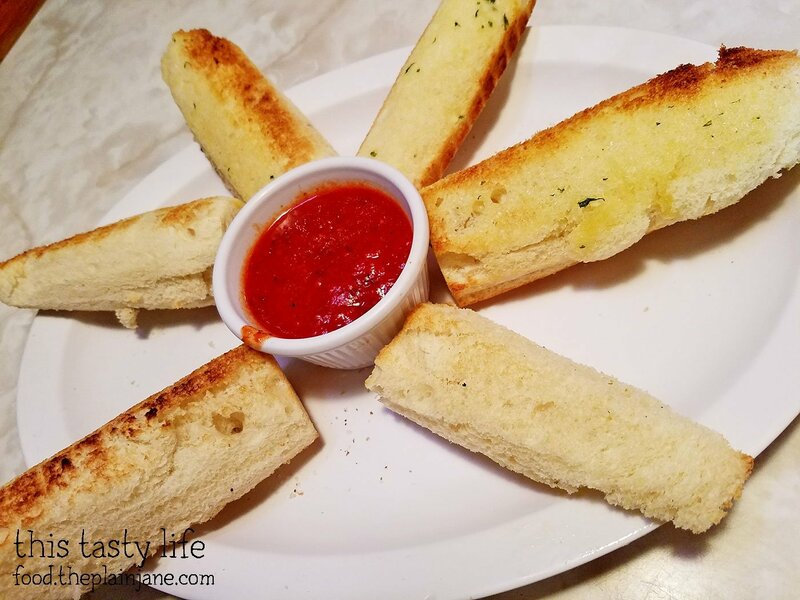 I wish there was a litttttttttle bit more butter-garlic on a few of these pieces but once dipped in the sweet, flavorful marinara sauce it didn’t matter too much since the sauce is so good. We had to get an extra cup of sauce to finish off the bread holes! Jake and I were both eyeing the same two Torpasta sandwiches, so we ordered both to try. 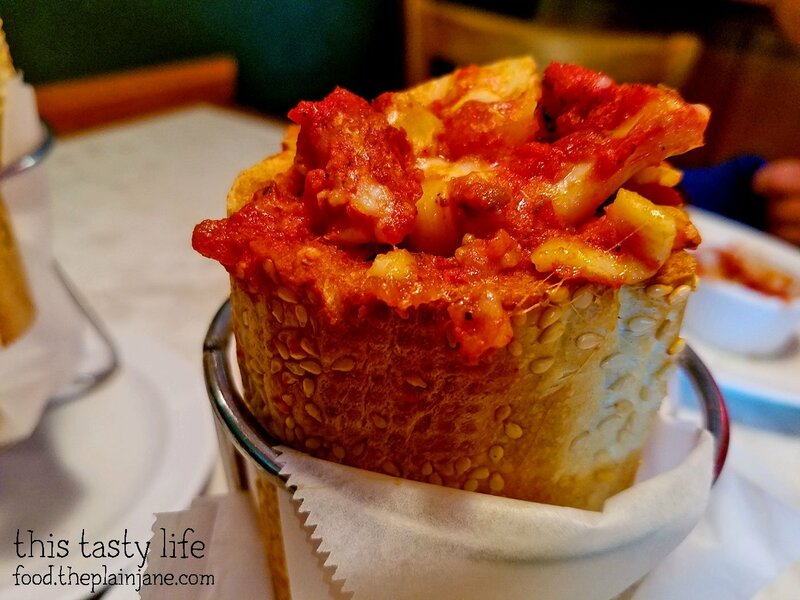 The first one is the 6″ Meat Lasagna [$7.79] which is stuffed with lasagna noodles, meat sauce, plus mozzarella and ricotta cheese. I had a few bites of each sandwich. While this tasted fine, there was a lack of cheese in the sandwich. My favorite part about lasagna is the cheese, so this sandwich didn’t quite do it for me. I wanted more cheese! Luckily the second sandwich we ordered was really nice and cheesy and made up for the first one! The 6″ Macahelper Torpasta [$7.79] was AMAZING and I might have hoarded this one. I did let Jake have a few bites since we both agreed this was the better sandwich of the two, but he was nice enough to let me have most of this. The combination of creamy mac n cheese with bits of ground beef was outstanding. It was full of flavor, incredibly creamy, and just so damn tasty! 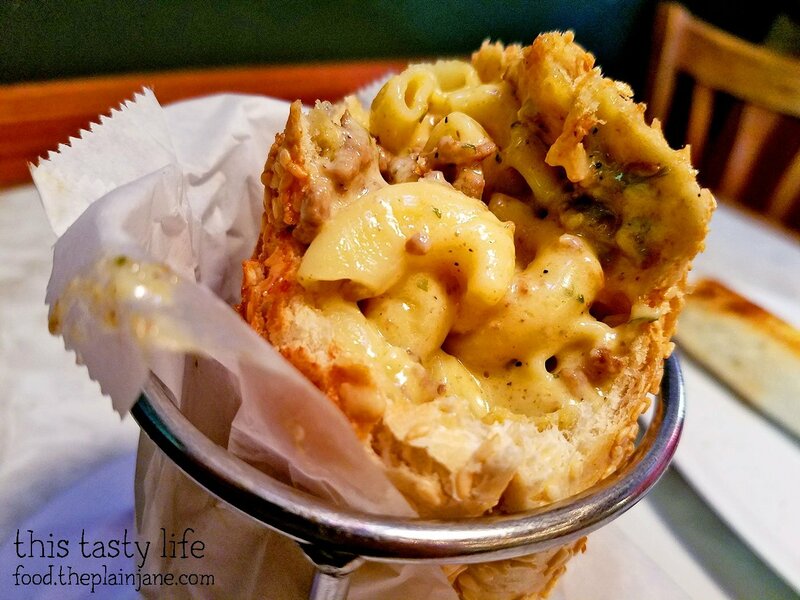 The other amazing thing about the Torpasta sandwich is how HOT they stay. As you make your way further into the sandwich, the pasta stays hot from being stuffed inside of the warm, toasted bread. YUM. 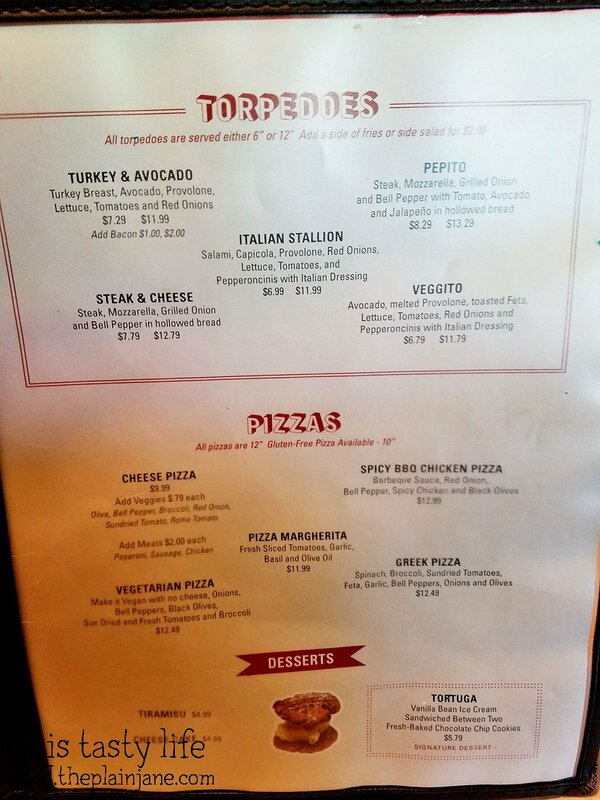 We topped off our lunch at Devine Pastabilities with a little dessert – the Tortuga [$5.79]! 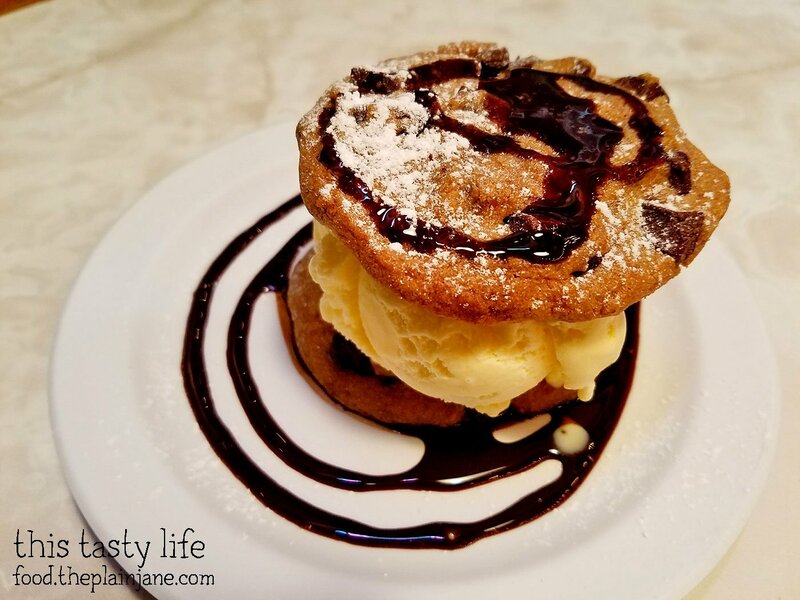 The Tortuga is an ice cream sandwich made with warm chocolate chip cookies and a swirl of chocolate sauce. This is a nice way to finish off a meal – with something a little sweet! The chocolate and a little crisp and tasted great with the vanilla ice cream. 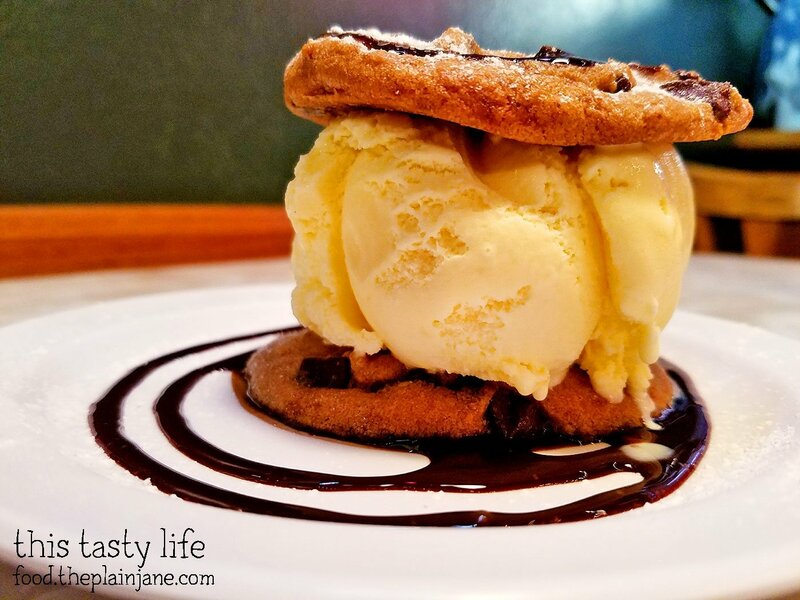 I liked that the cookies were a bit warm, too, and also slightly crunchy for a little texture with the ice cream. I will definitely not let a few more years pass before we go back again! I forgot how tasty this place is! Carb overload here! 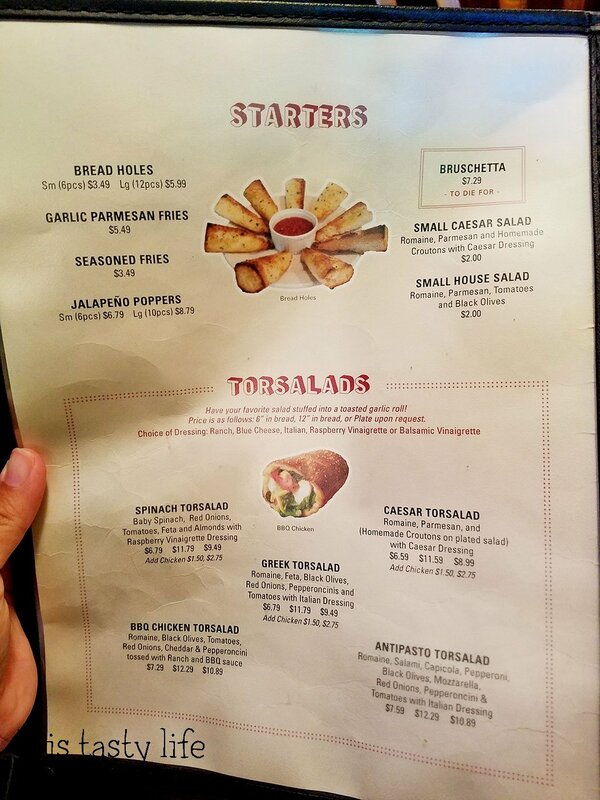 The bread holes sound good. 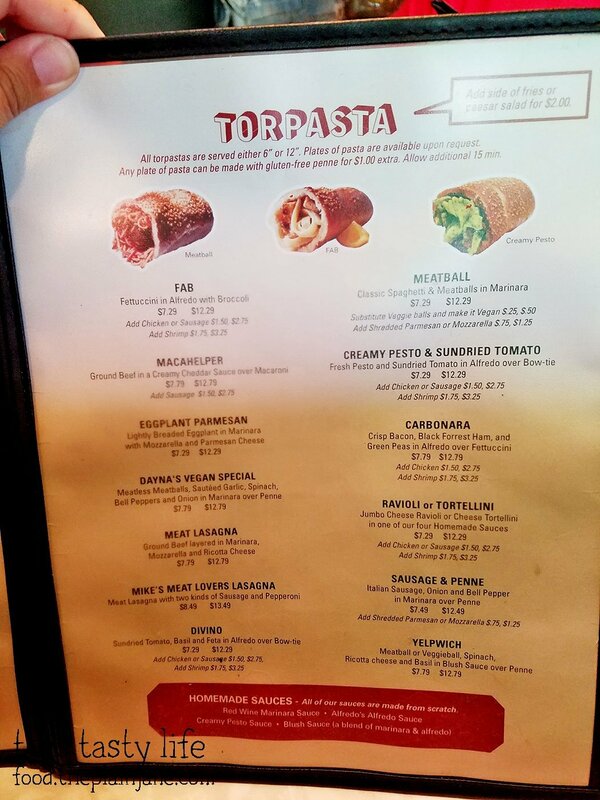 I know that TC would love those pasta stuffed sandwiches. 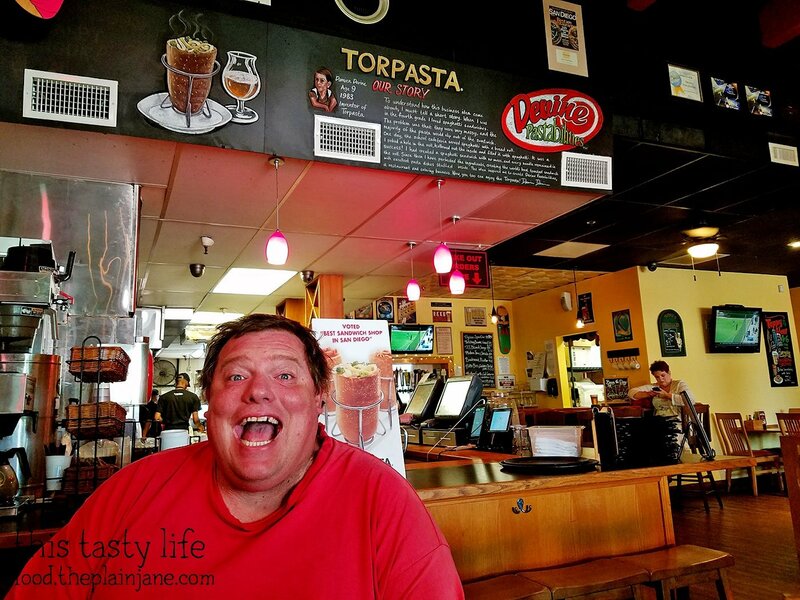 Hi CC – It is total carb overload and almost an instant food coma! But the sandwiches are so good here! You can also get a plate of pasta instead of the sandwich, too.